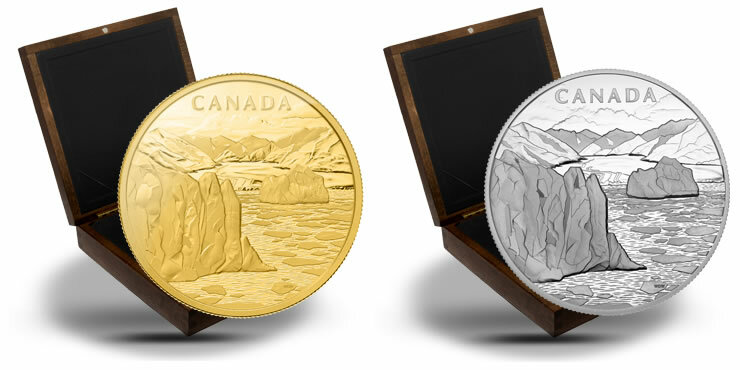 The Royal Canadian Mint expands on a frigid glacial theme this year with the release of two new coins — Canada’s Arctic Landscape 1 Kilo Fine Gold Coin and Canada’s Arctic Landscape 1 Kilo Fine Silver Coin. Both kilo coins contain the same basic obverse and reverse imagery. One is in 99.99% pure gold and the other is in 99.99% pure silver. Each is in proof quality with extremely limited mintages. "Locked in twilight for much of the year, cast in blinding contrast for its few months of midnight sun, the Canadian Arctic is like no other place on Earth," states the Royal Canadian Mint on the coin’s product pages. "For Canadians, the Arctic represents not only a massive component of the nation’s geography and the interconnectedness of Canadian lands from sea to sea to sea, but the source of the ice, snow and cold that has carved out not only the land but the soul of this country." Shown on the reverse of the gold and silver kilo coins is a design by Canadian artist W. David Ward. It offers a detailed scene of the north shore of Baffin Island overlooking Lancaster Sound at the mouth of the Northwest Passage. Indicative of Canada’s entire Arctic region, the design includes icebergs and frozen waters. Off in the distance, glacier topped mountains appear on the horizon. Inscribed toward the top is CANADA while the artist’s initials are found near the bottom. The obverse of the kilo coins feature Susanna Blunt’s effigy of Queen Elizabeth II. Surrounding the portrait are the inscriptions of ELIZABETH II, D G REGINA, and 2013. In addition, shown are legal tender face values of 2500 DOLLARS for the gold kilo coin and 250 DOLLARS for the silver kilo coin. Each proof quality coin features a weight of 1,000 grams and a serrated edge. The 99.99% pure gold coin has a diameter of 101.6 mm while the 99.99% pure silver coin’s diameter is 101.8 mm. These coins ship within a custom maple wood box lined with flock. 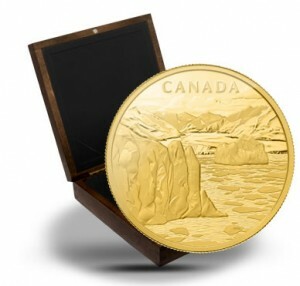 The 2013 Canada’s Arctic Landscape 1 Kilo Gold Coin has a maximum limit of 20 pieces. The price is CAD $69,000.00. 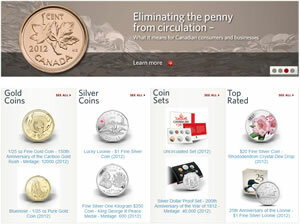 The 2013 Canada’s Arctic Landscape 1 Kilo Silver Coin features a mintage of 750 with pricing of CAD $2,249.95. 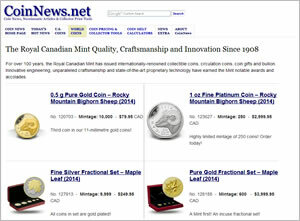 Order these kilo coins directly from the Mint at 1-800-267-1871 in Canada, 1-800-268-6468 in the US, or on the Internet at www.mint.ca. The Royal Canadian Mint is the Crown Corporation responsible for the minting and distribution of Canada’s circulation coins. An ISO 9001-2008 certified company, the Mint is one of the largest and most versatile mints in the world, offering a range of specialized, high quality coinage products and related services on an international scale.